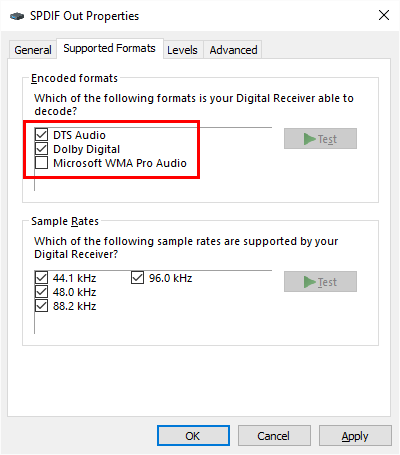 The audio format is not supported. 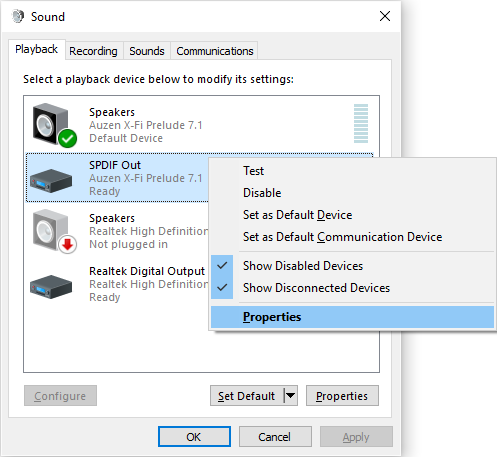 Changing Windows' default output device from "Speakers" to "SPDIF Out"
Not the answer you're looking for? Browse other questions tagged digital-audio creative dolbydigital auzentech-prelude or ask your own question. 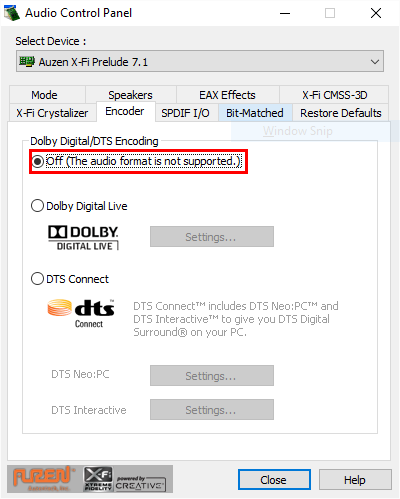 Is it possible to setup VLC (or another player) for a proper DD5.1 Output with HDMI? How?